Last Friday we celebrated the Peace day. 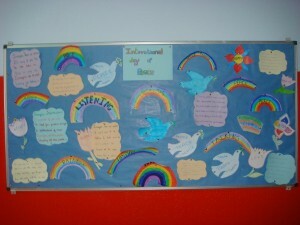 All the students learned Imagine, a song which is a symbol of peace, in the Music and the English class. 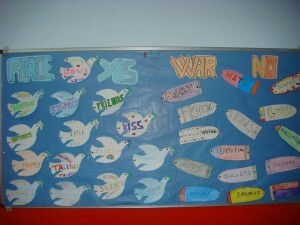 Students on year 6 to decorate the corridor wrote words against war and for PEACE. This entry was posted in General on 3 febrer 2010 by nsarda2.